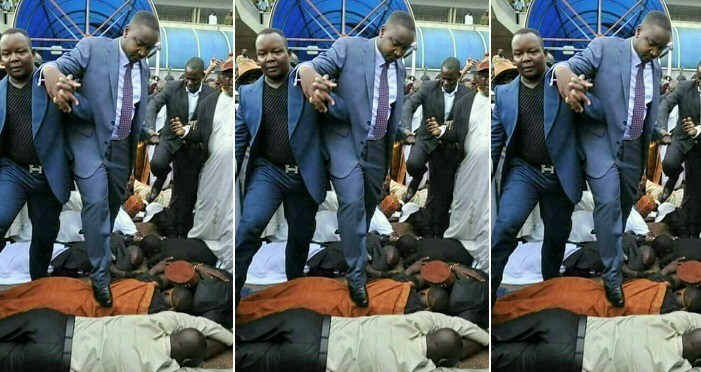 This photo of an Uganda-based Pastor who says that God addressed him not to walk on normal ground has caused blended responses on social media. 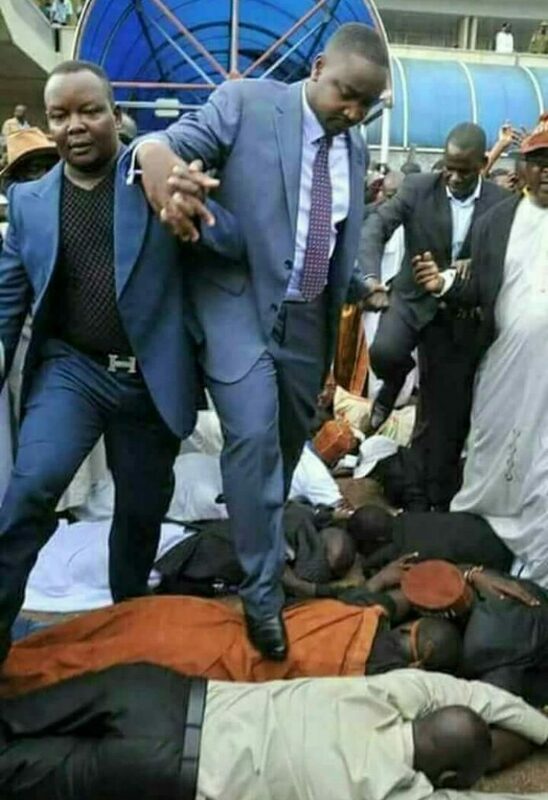 The man of God, distinguished as Minister Busoga from Uganda says he is holy to the point that he can't stroll on ground so as not to be polluted. 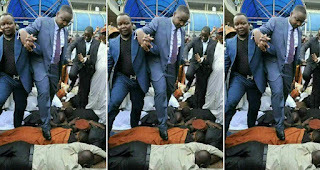 As a result of this, the church members have to submit their bodies as a stepping stone for the man of God to step on while coming into the church for their usual church services.